Sailfish season starts in earnest in Fall. Listen, we know fishing doesn’t guarantee catches, but we do know this: sailfish fishing in Stuart, Florida is among the most consistent anywhere! And when the catches are happening, it turns into the best kind of crazy! One of the sights that we see regularly is bait showers. Thousands of silvery ballyhoo fling themselves out of the water and shower down onto the ocean surface as the sailfish feed on them in the shallows – it’s a sight to behold, and another to thing to chase during your sailfish fishing adventure. Stuart is nestled between the St. Lucie River and aquatic preserves connected to the Indian River Lagoon, the most bio-diverse estuary in the Northern hemisphere. It is a bounty of aquatic and water-loving wildlife. The extraordinarily important ecosystems feed into – and are fed by – the Atlantic Ocean around Stuart. 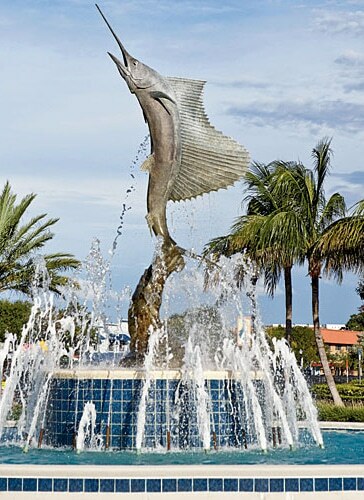 It is here that the sailfish are found in greater numbers than just about anywhere else in the world, and why Stuart Florida fishing charters are your best bet for a thrilling experience with sailfish fishing.